Yeshivat Sha'alvim aims to produce a model ben Torah and aspiring talmid chacham, whose stellar middot and yirat Shamayim are part and parcel of his dedication to high-level learning and the Jewish people. 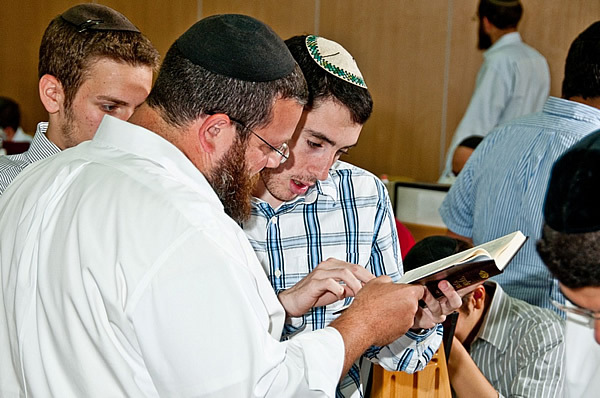 The talmidim who attend Sha'alvim are motivated high school graduates who seek to further their learning skills and strengthen their commitment to Talmud Torah. At Sha'alvim, the education is focused on the complete person, with an acknowledgment of both the mind and the soul. The yeshiva is best known for its strong Beit Midrash, where a kol Torah is heard throughout the day and night, and for its high level shiurim, with a specific focus on teaching conceptual methodology. However, Sha'alvim's reputation for spirited tishes and lively melavei malka, are also a central part of the Sha'alvim experience. With a strong religious Zionist character, Sha'alvim also seeks to instill within its students a deep appreciation for the land and state of Israel. Perhaps, the most unique element of Sha'alvim's educational philosophy is the yeshiva's stress on individualism in avodat Hashem. With the realization that no two people are identical, the yeshiva teaches each student to develop as a thinking individual. By providing a warm, inviting atmosphere, coupled with an increased level of personal attention, the yeshiva allows each student to find his own derech in avodat Hashem. A central element of the education at Shaalvim is the yeshiva's large and dedicated staff (see pictures and bios here). Almost all of the Rabbanim, with whom the students will forge and maintain life-long relationships, live on campus. They are always available to answer questions, enter into discussions, offer emotional support, and to open their hearts and homes. 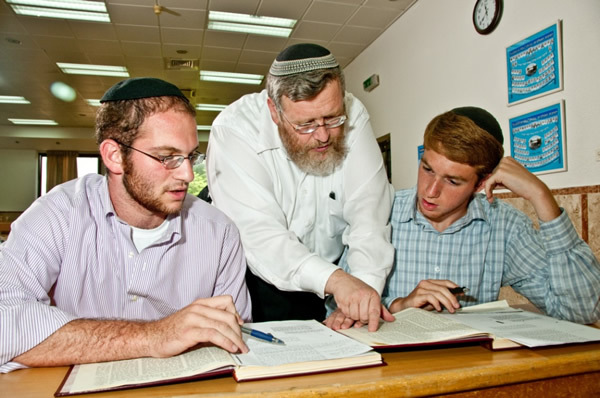 Throughout the day, The Rabbanim are actively involved in the development of the students. Morning seder and shiur are overseen by the yeshiva's talented Ramim, whose personalities, a healthy blend of erudition and warmth, provide a fertile venue for student's growth. Each morning shiur is also assigned a mashiv, who spends the morning walking from chavruta to chavruta, challenging the students, as they prepare for shiur. Afternoon seder rebbeim and mashivim, as well as our newly appointed night seder Rebbeim, play an active role in seder, and help turn the Beit midrash into a lively Torah environment. Sha'alvim's faculty also consists of a team of mashgichim who meet on a regular basis with all students, overseeing their character development and tending to their emotional needs. After night seder, the opportunities for growth continue. One night a week, students are separated into small groups, and visit the home of kollel members for an informal learning session, known as Va'ad. The home baked good that usually accompany Va'ad only adds to the experience! Another night, each shiur visits the home of their rebbe for Bayit Cham. In this relaxed environment, students discuss issues related to growth as a ben Torah. It is not rare for one of these late night sessions to extend far beyond the allotted time, as it is often in this context that the Rebbe forges real relationships with their students. Another unique element of the Sha'alvim experience is the "adoption" of each student by a Nof Ayalon family. Yeshivat Sha'alvim is blessed to be surrounded by the idealistic religious Zionist community of Nof Ayalon. Each student from the yeshiva is set up with a family from Nof Ayalon. Besides providing Shabbat meals and a "home away from home," the Nof Ayalon families' homes also serve as real example of life in Eretz Yisrael. At Sha'alvim, students experience a broad education, which instill in them a deep appreciation for everything Torah represents. Sha'alvim enables its graduates to build the necessary foundation for living strong religious lives. In addition, the yeshiva instills in its students the self-confidence and leadership qualities needed to return to their communities and contributing members and leaders utilizing the skills, idealism, and determination they acquired in Sha'alvim.